Good Morning.Another cruise has ended and here I am at 5:20 am getting ready to disembark 3,500 guests. Last week I was privileged to tour the Queen Victoria and the blog that followed was sent to Cunard past cruisers, which was marvelous for Cunard to do. The result was that I received many comments of congratulations from loyal Cunard fans……and one correcting my grammar which was also appreciated…………..it really was. So, I thought that as we had the attention of the Cunarders that they would appreciate the following interview with a very special gentlemen who is at the helm of the one and only Queen Mary 2. 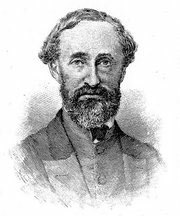 Therefore, let’s enter the world of Commodore Warner. 1. Commodore Warner, thank you for taking the time to talk to us. I wonder if we can start by asking you about your life so far at sea. What led you to where you are now? A lifetime friendship with the sea was cultivated at Sandsend near Whitby on the north east coast of England, where I spent the summer holidays sailing and fishing with my father. At sixteen I entered the Warsash School of Navigation at the University of Southampton. Queen Mary and Queen Elizabeth would frequently sail past the college as they made their way up Southampton Water into the port and it was these ships which gave me the inspiration to one day command a Cunard trans-Atlantic liner. In 1965 Cunard Line would only consider employing navigating officers who had attained a Master’s Certificate. I would be twenty-five years old by the time this had been achieved. The alternative was to join P&O, which was the other great passenger shipping company of the day. I signed indentures and commenced a four-year cadetship with them on 1 January 1966. P&O had a large passenger fleet but an even larger fleet of cargo ships. My first voyage was from King George V dock in London to the Far East aboard “Somali,” a 7,000- gross-ton freighter. Nearing the end of my cadetship in 1969, I joined my first passenger ship “Oriana,” and by the early seventies I was sailing as a Junior Deck Officer aboard the P&O ship “Iberia.” I was later to be appointed to the legendary P&O liner “Canberra,” where I also sailed as Deputy Captain in 1988. P&O took over the British India Company (BI) in 1972 and I became one of the first P&O officers to serve on board “Uganda.” This ship specialized in educational cruising and carried up to 1,000 schoolchildren suitably partitioned from 400 first class passengers! In 1974 P&O bought Princess Cruises and I sailed as First Officer aboard “Pacific Princess.” A lucrative contract was signed by the company to film the television show “Love Boat” aboard their ship. This series was so successful in the United States of America that it proved to be the catalyst for cruising as we know it today, but it failed to inspire the same amount of enthusiasm in the United Kingdom! By 1984 I had been promoted to Chief Officer in “Royal Princess,” the new revolutionary cruise ship being built by P&O. This was the first large cruise ship ever constructed with all outside staterooms. About seventy percent of their cabins were designed with balconies and a whole new cruising trend had begun. Her Royal Highness Princess Diana was invited to name the ship. Her infectious personality made her the perfect Godmother for the ship and she kept in touch with the crew for the remainder of her life. 2. The word Commodore is used at Cunard Line instead of Captain. Can you tell us something about this tradition? 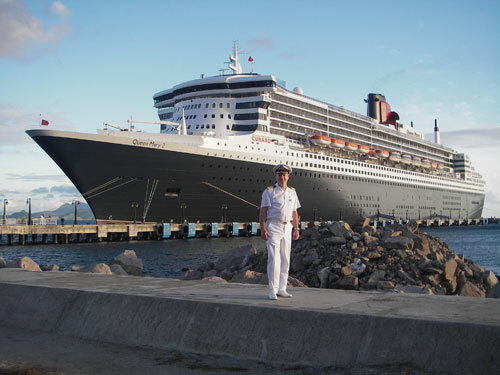 Cunard Line has Captains just like every other shipping company. The rank of Commodore means “the Senior Captain of the Fleet.” As Commodore one fulfils the same role as the Captain on board in that you are the Master of the ship. 3. So now you are Commodore of the incomparable Queen Mary 2 and you must be very proud. What is your daily life at sea like? Could you describe a typical (if one exists) day for you. There is not really a typical day at sea for someone in my capacity. That is one of the exciting and challenging aspects of the profession – every day is different and I have to be prepared to work at any time be it day or night. My primary responsibility is for the safe navigation of Queen Mary 2 and the well-being of all the passengers and crew on board. My position also requires me to oversee the health, environment, safety and security of the ship. The ship is managed by an Executive Committee of Senior Officers with the Commodore in overall charge and all heads of department reporting to him. Queen Mary 2 has a hard working ships’ company and all are dedicated to providing the finest possible experience for our guests in every area of the ship during every moment of their day. We do all we can to ensure that the crew are happy as they go about their duties. It is important to visit all the working areas on board, a round which I enjoy whenever the ship is at sea. Dependent upon the ship’s itinerary, I often have to spend long periods on the Bridge particularly when we are in close proximity to the land, reduced visibility or heavy traffic. Handling the controls of Queen Mary 2 and taking the ship in and out of each port is one of the most rewarding parts of my position. It is impossible to be Commodore without enjoying the many social functions. If they wish, every passenger has the opportunity to meet me at the Welcome Aboard Cocktail party. Whenever navigational duties allow, the Commodore’s table is an enjoyable end to the day. 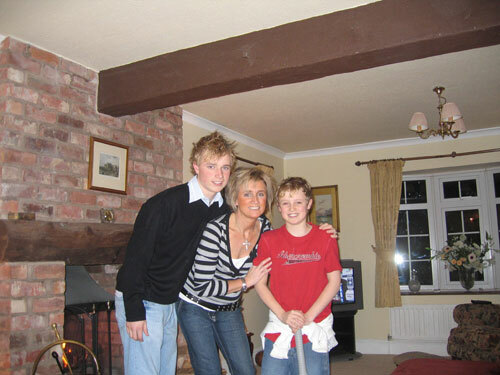 Different guests are invited on formal evenings and many lasting friendships have been made. 4. I am sure you have seen many changes during your time at sea. Is there one piece of equipment on the bridge that makes your job easier and is there anything you miss from the older ships? There is a bridge viewing window for our guests who are always surprised that the ship’s wheel is barely six inches in diameter. Queen Elizabeth and Queen Mary had quite a lot more to shout about! 5. I know that being a Commodore for Cunard also involves a very hectic social schedule. I know personally that hosting a dinner table can sometimes be hard work if the guests are a bit shy. 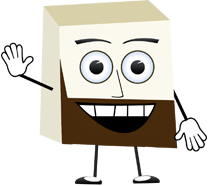 Do you enjoy the social aspects that come with your job and do you have any tricks or secrets you use to “break the ice?” Also, I remember reading about Commodore Sir James Charles who it is said would order extravagant dishes such as Wild Boar and whole suckling pigs at his table. Do you have a favorite dish that you enjoy each time and if so what is it. The best icebreaker in the business is my wife Tina who frequently travels with my sons Tom and Charlie during school holidays. We host the table together whenever she travels. The secret to hosting a table is to be completely normal from the moment you sit down, and the conversation rapidly starts to flow! Specials for the Commodore are not required because Queen Mary 2 serves the finest cuisine afloat. The chateaubriand melts in your mouth – delicious! 6. Of course you must have had many proud moments in your career. Can you describe one or two of them? Every Captain will probably tell you that his first command is both important and exciting because this is the position that you have strived for throughout your career. That same tingle of excitement could be felt in taking out a brand new ship for the very first time from the shipyard and to feel the passion of the ship builders who were seeing the ship they had constructed put to sea for the first time. But for me the appointment to Queen Mary 2 was very special because it defined the goals I had set for myself all those years ago. On a more personal level, I had the pleasure of meeting Princess Diana when she named “Royal Princess” in 1984 and then just two years later met my wife Tina aboard the very same ship. 8. Simple question, what is it about the Queen Mary that makes her so special. Queen Mary 2 is an elegant Ocean Liner with fine lines, a very streamlined hull, a deep draft, and a long bow to handle every type of weather imaginable. Having said that I always try to find the smoothest route across the ocean and avoid the major depressions! Even in bad weather she is amazingly stable and the roll is dampened by 90% using two pairs of Rolls Royce fin stabilizers. Her interior features are like no other ship. Because it was decided she would not use the Panama Canal, she is a very wide and long ship which allows exciting spaces for our guests. Wide and high alleyways run along decks two and three. Most public spaces are 15 feet high instead of 12 and two deck public rooms are 36 feet high. In Illuminations we boast the first planetarium at sea which can also double as a lecture theatre and cinema. A trans-Atlantic crossing is more than just elegant transportation. We want our guests’ day to be such that they can chose between reading in our elegant 8,000-book library, or alternatively, it can be packed with interesting choices of activities and experiences. 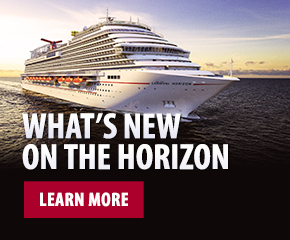 The recently introduced Cunard Insights programmed offers something for everyone. We tend to offer guests more than just lectures and they are able to interact with the experts, many of the famous, in fields such as show business, exploration, oceanography, finance, history and sport. The Royal Academy of Dramatic Art presents workshops, lectures and performances, enabling the guests not only to watch the stars of tomorrow in person, but actually study the skills of acting with them. The Cunard ConneXions conference centre features abundant space for conducting business at sea with more meeting facilities than any other ship. The West End Stage is bought to full effect in the two tier Royal Court Theatre with dynamic musicals and celebrity entertainers. There is a feeling of space and luxury everywhere you walk! 9. Earlier this month, I visited the Queen Victoria and found myself feeling very patriotic and I started humming Rule Britannia. You must feel a huge sense of history every time you put on the Cunard uniform. What British traditions are there left onboard from the “old days” not only for the guests but for you and the officers? The Ship’s Bell in the Grand Lobby is rung eight times at noon each day, followed by the Commodore’s noon broadcast. Of the six nights on a trans-Atlantic, three are formal when the officers will wear black mess kit and if duties allow the seniors will host tables in the Britannia Restaurant. During two evenings of cocktail parties all guests have the opportunity to meet the Commodore if they wish! The Senior Officers line up and are introduced to the guests. I should explain that, being an ocean liner, we have guests who live in staterooms and take voyages or make crossings! The ship is filled with memorabilia depicting past great liners and the famous that have traveled with us. Our guests can follow the Maritime Quest which relates in audio the history of the Company from Samuel Cunard’s first trans Atlantic with Britannia in 1840, through to the present day. One of the amazing features of our ship is the Queens Ballroom. It is the largest dance floor at sea and provides big band dancing throughout the voyage. It’s very popular and very different from a cruise ship! Back to hosting your table and my favorite question to ask Masters of vessels. If you could choose six dining companions from history to have at your table who would they be and why. 1. Captain James Cooke who grew up near Whitby in C18 and was one of the greatest seafarers and explorers who ever lived. He perhaps might have had a few tips! 2. Ursula Andress who was my pin up at school – what man can forget the day that she emerged from the sea in “Dr No”? 3. Tommy Cooper. The funniest man who ever lived. 4. Galileo Galilei. A great astronomer and scientist to add an intellectually intriguing side to the conversation. 5. President Ronald Reagan. So much more than a politician – his character was such we could probably enjoy dinner without talking politics. 6. 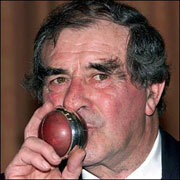 Fred Trueman (Fiery Fred). A great Yorkshireman who was probably the finest fast bowler in English cricket. Always entertaining and sometimes controversial both on and off the field. 7. Co-host – My wife Tina! I would like to thank Commodore Warner for taking time to answer those questions and allow us to go behind the scenes with him. I think it is obvious that the proud traditions of the Cunard Line can rest very easily on his shoulders. I particularly found Commodore Warner’s dinner guest list fascinating as he included two of my own favorites in Tommy Cooper and Fred Trueman. Now, for those American bloggers Fred Trueman was a as the Commodore said a cricketer and I thought for a moment that I would try and explain the laws of cricket to you. Cricket terminology can be confusing to those who are not avid followers of the sport, and just like all team sports, they have their own set of positions and terms that come along with the game. Below is a guide to some of the different terms you may hear that will help you better understand your first cricket game? A bowler is much like a pitcher in baseball, delivering the ball (a hard ball that is approximately fist-sized) to the batsman. He also defends the wicket (goal) in front of which he stands. A batsman stands with a bat (made of willow) at the wicket opposite the bowler, aiming at the ball with the bat. He attempts to hit the ball and move across the pitch to at least reach the creases, with the goal of reaching the opposite wicket to complete a run. The pitch is the clay rectangle in the center of the field where most of the play occurs. The creases are lines across the pitch, which are used to determine if a delivery is fair. Caught – when a fielder catches the ball without it first bouncing off the ground. This would occur after the batsman has hit the ball or it has come into contact with the batsman’s glove. Bowled – the ball delivered by the bowler his the stump (wicket) and has dislodged at least one of the bails (the cross planks). The credit goes to the bowler for the play and batsman’s dismissal. LBW (leg before wicket) – when the ball that was delivered hits the pad or the leg of the batsman and the umpire believes it would have hit the stump. This goes against the batsmen, and the bowler is credited with a dismissal. Hit wicket – when the batsman knocks down a bail by accidentally hitting the stump while swinging or taking off for the first run. The bowler is again credited with a dismissal. This is just a short list of terms used in a typical cricket game. However, when you think about a game that could last up to five days in some of its formats, obviously you’ll hear a lot more. At least, though, you won’t fall behind watching. Seriously, cricket is a passion of mine as it is for Commodore Warner and maybe one day we will be able to watch a game together and hopefully see someone bowl a maiden over or get caught in the gully by a googlie……….don’t ask. Oh, as for Tommy Cooper, another guest at the Commodore’s table…………well he was as mentioned simply one of the funniest people in history. Here he is. One of the greatest comedians of our country was born in Caerphilly in 1921. A genius who turned every trick into a disaster and who turned disaster into laughter. his one line gags were irresistibly funny…………here are some of his best. My wife had a go at me last night. She said, “You’ll drive me to my grave.” I had the car out in thirty seconds. I got home from work and the wife said – I’m very sorry dear, but the cat’s eaten your dinner’. I said ‘Don’t worry – I’ll get you a new cat’. 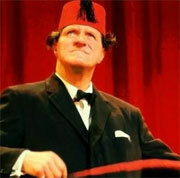 On April 15, 1984, Tommy Cooper collapsed from a massive heart attack in front of millions of television viewers, midway through his act, on the popular British Television variety show, Live From Her Majesty’s. Most of the audience thought it was part of his act and were laughing, until it became apparent that he was seriously ill and it was later announced during the show that he had indeed passed away………………his friends all said that this was how he would have wanted it. What a superb dinner table Commodore Warner choose………….here they are. So, we have covered the greatest game in the world, one of the funniest and most unique British entertainers of all time and of course a view from the bridge of the Queen Mary 2 provided by Commodore Warner. I am therefore feeling, very patriotic……………….I feel like singing. That’s better……….nothing like a rousing chorus of Rule Britannia at 6 am in the morning. My sincere thanks to Commodore Warner and to all of you for reading.